The Media Lies on a daily basis. We finally figured out CNN and MSNBC and the likes thereof are pathological liars and deceivers. Who lie and deceive with deliberate intent. It is premeditated and preplanned just like the “pulling” of WTC7. Nothing here is happening by accident. 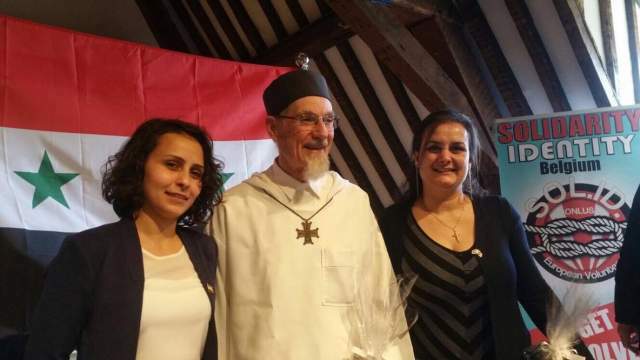 Below is an article and video from Veterans Today about Father Daniël Maes on Syria. Just like the lies we were told about Russia so too there were lies we were told by Syria. Again by the same culprits and the usual suspects. [Veterans Today] The gentleman giving the talk in the video below is Father Daniël Maes, a Flemish priest who lives in Syria and who has said that news coverage of the conflict there is “the biggest media lie of our time.” Father Maes, who spoke in Belgium on June 3, lives and serves God in the 1400-year-old Mar Yakub Monastery, located in the village of Qara, some 60 miles northeast of Damascus. As for Father Maes, I first put up a post about him back in January of this year. At that time he told an interviewer, “Do you not know that the media coverage on Syria is the biggest media lie of our time? They have sold pure nonsense about Assad: It was actually the rebels who plundered and killed. Are we Programmable? Sure looks and seems like it especially with Goldfish Syndrome Humans now. #Tyler what is the answer to this question? Are #Humans programmable? Post your comment and sources.